E-tolling on the Gauteng freeway system started on 3 December 2013. After months of trying to get the e-toll test case under way, civic organisation the Opposition for Undoing Tax Abuse (Outa) has instructed its lawyers to cancel further test case engagements with the South African National Roads Agency Limited (Sanral). Outa says the move is to speed up the process of bringing the first case with one of its members to court, which will in effect be its test case. "We are tired of the delays which appear to have arisen through the hurdles and time taken between responses in our engagements with Sanral," says Ben Theron, Outa's portfolio director for transport. "We are anxious to get on with the job of demonstrating to the courts and the public that e-tolling is unlawful in the cases for which notice of intention to defend was already given last year. It also irks us that whilst we are trying to have this serious matter dealt with, Sanral is sneaking through the back door to file default judgements against the public, with the knowledge that Outa has serious issues with this, and hard facts pertaining to their flawed e-toll processes as well as the legality of the entire scheme." E-tolling on the Gauteng freeway system started on 3 December 2013, after much controversy. However, it has been met with ongoing resistance from motorists. Sanral recently pointed out that the Gauteng highway network accommodates 1.49 million vehicles or 1.7 million people per day. It noted that 1.3 million vehicles have an e-tag account in good standing, and just more than 1.4 million vehicles are tagged. According to the roads agency, there are about 2.9 million accounts with arrears balances, but of these, 1.2 million owe less than R500 each. Last month, a Pretoria high court ordered an Alberton-based building supply company to pay its outstanding e-tolls debt of R450 000. 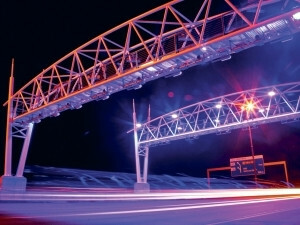 Sanral then celebrated the default judgement, saying it sets precedent over the non-payment of e-tolls. "We are aware Sanral has issued several thousand e-toll non-payment summonses to the general motoring public and not all of these people are part of Outa's e-toll defence umbrella," says Theron. "This means the first case which Sanral may bring to court could very well be one that falls outside of Outa's knowledge. We believe Sanral is aiming for such a case, so as to try to obtain a win in court on a poorly defended case against an unsuspecting individual or business, to give the impression of another precedent-setting win." Outa points out that even if Sanral wins a case that is not defended by Outa, it will not necessarily be precedent-setting. The reason is the facts and arguments put up by an Outa-assisted member of the public are likely to be different and more comprehensive on account of Outa and its legal team's knowledge and experience with e-toll litigation, it notes. "It would be a case of 'win small now and lose big later' for Sanral, until they call off the debacle," Theron says. The organisation is of the view that peripheral e-toll skirmishes against unsuspecting citizens will quickly be exposed for the hollow victories they really are. "We trust that Sanral will come to their senses before too many people get hurt and the lives of many unsuspecting individuals are impacted negatively by Sanral's questionable conduct," says Theron.